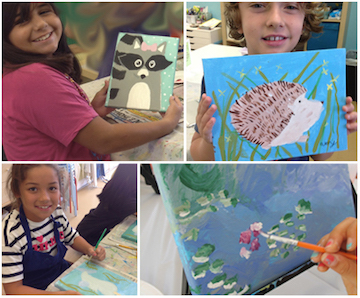 (Age 7-12) Not only will your child learn painting techniques, students will be taught drawing & planning methods to take their work to the next level. Please see calendar for painting themes. All classes include paints and 8x10 stretched artist canvas (unless specified otherwise). TBA - Mother's Day Painting Class. *We are an approved vendor for iLead, Valiant Prep, Sage Oak, Excel, Sky Mt., and Inspire charter schools. PO must be received 5 days prior to class start or have valid credit card on file. Cancellation policy There are no refunds or account credits for this class. If you can not attend, we would be happy to reschedule with 1 week advance notice -OR- transfer the class to a friend.